The Fujitsu AOU36RLXFZ1+(3)ARU12RLF Tri Zone. Concealed Duct Mini Split Heat Pump System is an all-in-one solution to get a comfortable environment in any application. It will provide up to 36,000 BTU of capacity. HFI Halcyon Systems by Fujitsu are recognized in the United States by contractors, homeowners and HVAC Specialists for ease of operation, lifetime reliability and great preformance that results in an unbeatable value balance that makes the Fujitsu AOU36RLXFZ1/3XARU12 one of the best heating and cooling solution on the market. 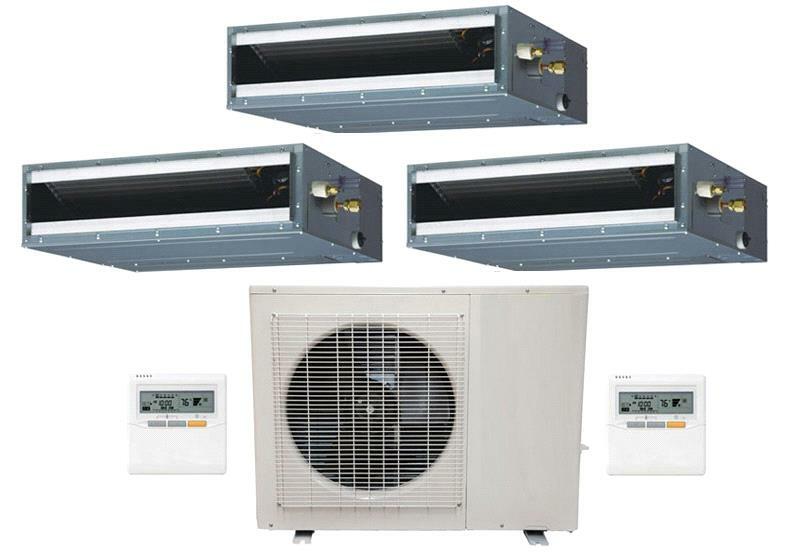 Thanks to a variety of styles and applications for indoor units (wall mounted, ceiling cassette, concealed duct and floor standing), Fujitsu Mini Splits are perfect for any home or office space.